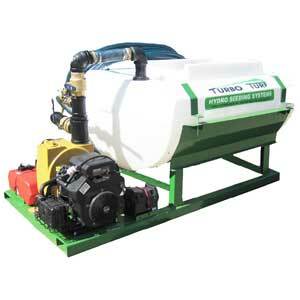 Turbo Turf's Brine Sprayers and Brine makers can save time and money. 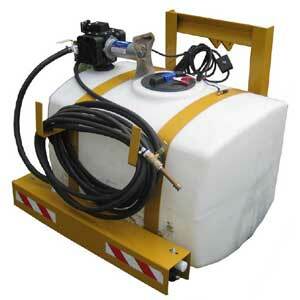 Ice Control Sprayers are the wave of the future. There is a revolution going on in controlling snow and ice on roads and parking lots. 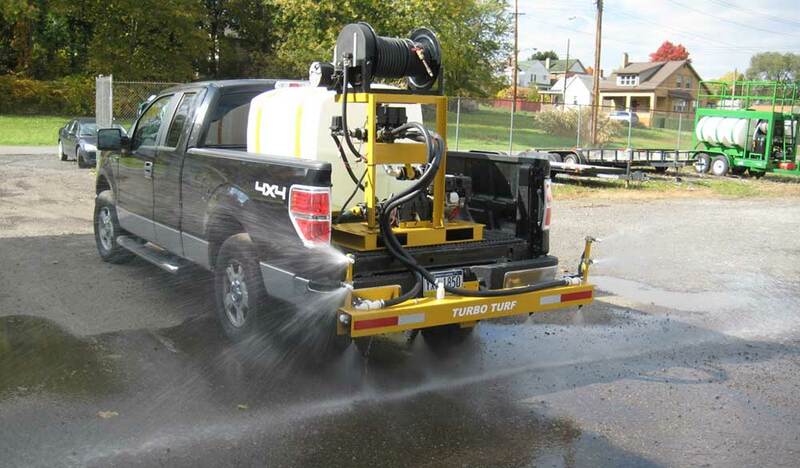 Ice Control Sprayers used for anti-icing and de-icing are reducing material and labor costs and making our roads and parking lots safer. Salt (sodium chloride) works best at temperatures at or just below freezing. 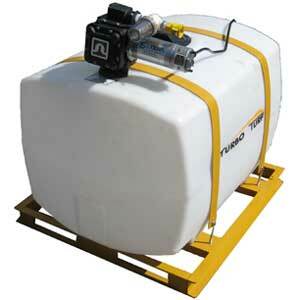 Liquid products can be effective to temperatures as low as -25 degrees F. Usually salt is spread AFTER the storm hits. 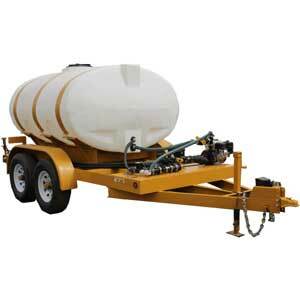 Liquid products can be effectively sprayed as much as a week BEFORE the storm. Liquids go into the pores of the road and won’t be thrown from the road. As much as 80% of salt and sand is thrown from the road and wasted. When applied before a storm the chemicals are under the snow and ice and prevent ice from forming a bond to the surface. If plowing is required plowing is easier and only slush not hard pack will remain. Salt is highly corrosive and harmful to vegetation. 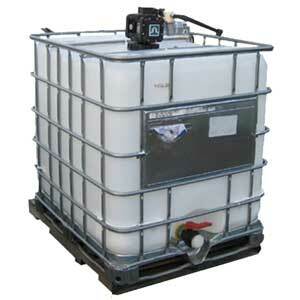 Liquid products can be much less harmful. 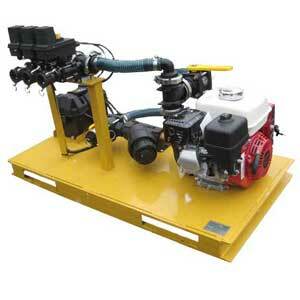 200 Gallon electric ice control sprayer with one lane boom and controller. 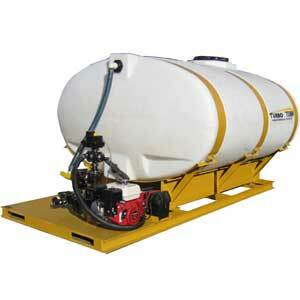 300 Gallon gas ice control sprayer with three lane boom and controller. 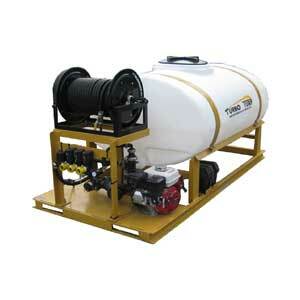 750 Gallon gas ice control sprayer with 0ne lane boom and controller. 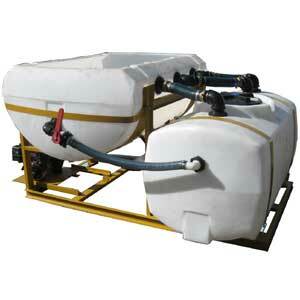 Convert your tote to a brine sprayer includes one lane boom and controller. 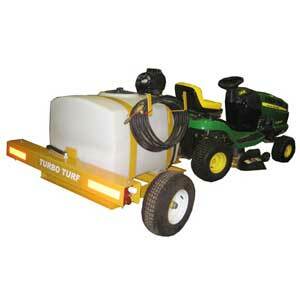 Convert your Turbo Turf Hydro Seeding to a one lane brine sprayer. Copyright 2012 - 2018 Turbo Technologies, Inc.